Kaliningrad is the site of Russia's mission control center (TsUP). The Kaliningrad facility has eight control rooms, including a main one with 27 workstations each able to accommodate two flight controllers. 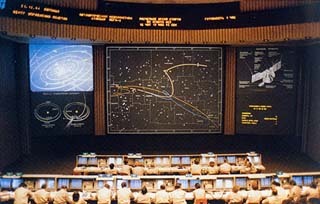 TsUP is integrated with a global network of mission-control centers which includes those in the United States, France, and China.